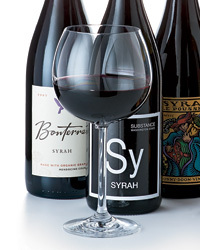 Like all wines, Syrah offers different flavors and textures depending on the climate where the grapes are grownunlike some wines, though, it can be delicious from a broad range of climates, too. 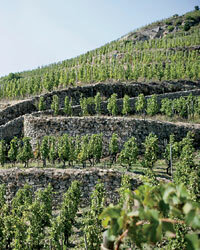 Wine Pick: 2007 Delas Les Launes Crozes-Hermitage ($22) Cool climates tend to emphasize the smoky and floral notes in Syrah, as with this streamlined, berry-inflected red from France's Northern Rhône Valley. 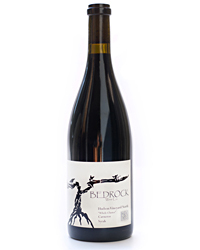 Wine Pick: 2008 Bedrock Wine Co. Hudson Vineyard Syrah Whole Cluster ($39) The warmth of Napa's Carneros region is cooled by breezes off San Pablo Bay. 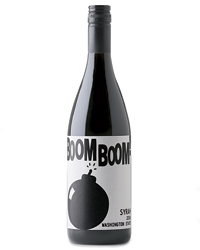 That means spicy, layered wines like this single-vineyard bottling. 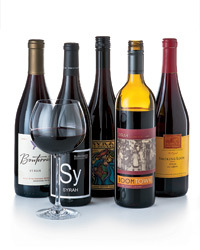 Wine Pick: 2008 Charles Cimicky Trumps Shiraz ($16) Australia's Barossa Valley, like other warm, inland regions, gives Syrah distinctively rich, ripe flavors. Cimicky's affordable bottling is a spot-on example of the style.